The Mexican team Panteras were excellent hosts – collecting Impossible Robotics at the airport, and laying on a tour of Mexico City; a second Mexican team Nautilus providing accommodation with one of the team’s ‘Mum’s’! 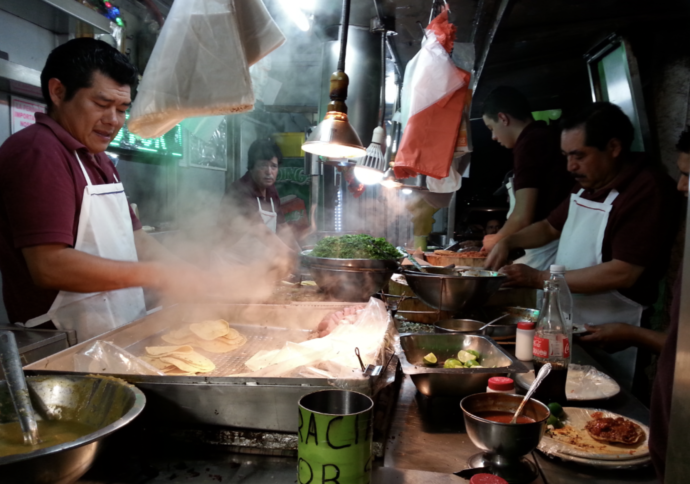 After a cultural tour of the city – with its 22 million people – and sampling authentic street food – it was time for the competition. Their robot which had been dismantled for transport had to re-assembled – a pretty thorough customs inspection had resulted in everything being in the wrong place. Last minute help from their team mates with the re-build and with the loan of a team-player saw them rising through the ranks during the eleven qualification matches. 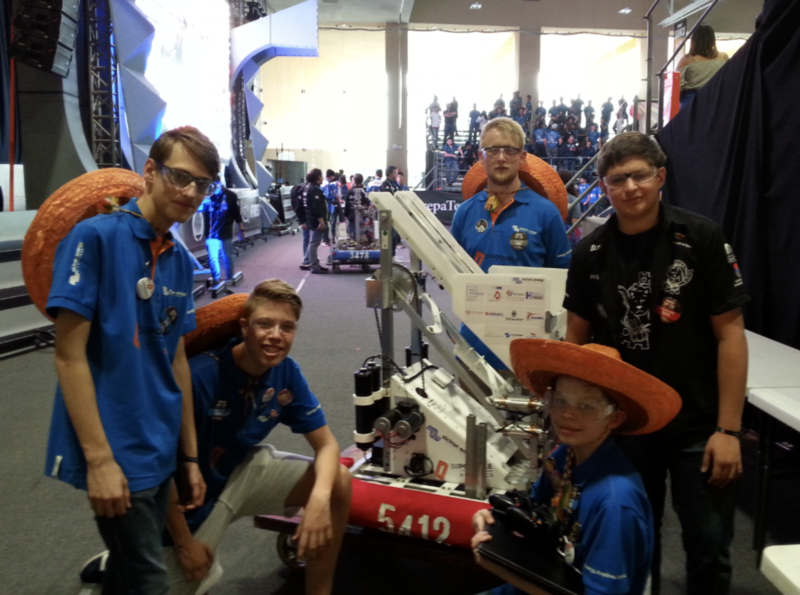 After a difficult start in 26th position the team were happy take control of their robot and climb to position 12. 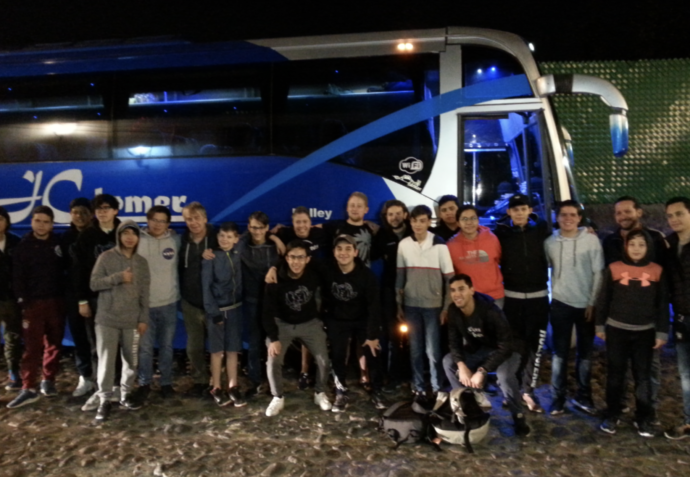 A respectable performance on day two saw the team picked for the playoffs, and they were very satisfied to have made it that far. During the award ceremony which concluded the event the team were delighted to win the Industrial Design Award. 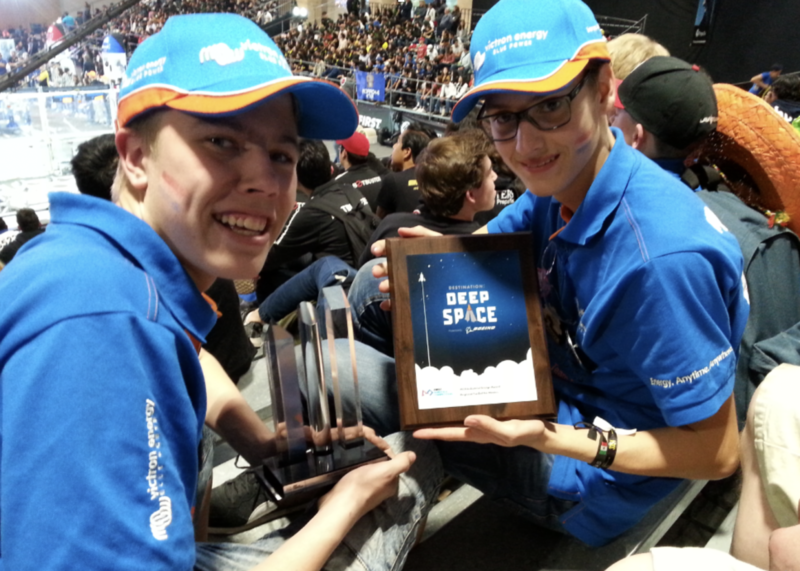 This prize is given for the most professional-looking robot-build. The team will take away great memories and gratitude for the support of team Panteras, and team Nautilus …and their thanks to the games Regional Director, Babara Gomez and her colleagues. It’s been a tight schedule with never enough time for sleep – but when you fly across the Atlantic to be with new friends there’s so much to do. A twenty-four hour drive, and the next round of the competition takes place in Bayou. We look forward to hearing news. Victron Energy is proud to sponsor Impossible Robotics as they participate in the FIRST games. Victron believe in encouraging young people to explore science, and to be the best they can be.